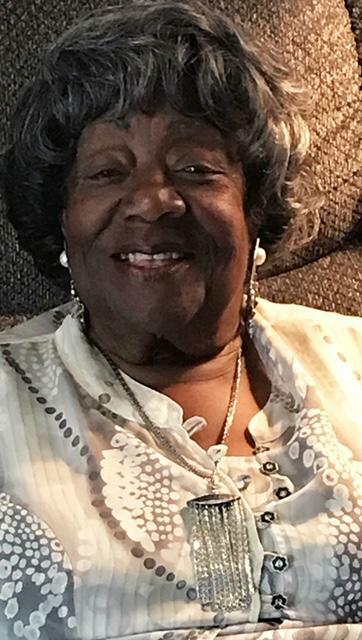 Pearlie M. Redd, age 83, passed away Friday, March 22, 2019 with her family by her side. Born July 14, 1935 in Louisville, KY to Georgia Vaughn and George White. She is survived by brother, Robert (Mary Ellen) White; children, Robert and Robin Redd (Gerald Davis); 15 grandchildren; 17 great-grandchildren; and 1 great-great-grandchild. Preceded in death by children Rodney, Ronald, Roger, and Rhonda Redd. We will carry out her memory in our hearts forever! Memorial service 2:00 P.M. Saturday, March 30th at Kingdom Hall of Jehovah’s Witnesses, 1555 College Ave. Arrangements entrusted to Cook & Son-Pallay Funeral Home, 1631 Parsons Ave.